Enriching lives, engaging minds, and connecting Nebraskans through music, news, information, entertainment, and commentary from around the state, nation, and globe. 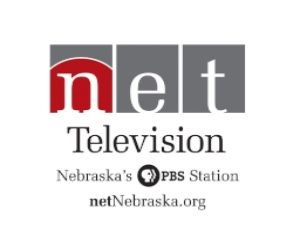 Nebraska’s PBS Station. Contributions support NET Foundation for Television's programming. “I grew up in a family that encouraged me to give back – both as a volunteer and financial supporter – so I became interested in NET at a young age,” Ann explained. “NET was bigger than anything I had been involved in and I decided right then to provide funds to NET from a life insurance policy. I know that this planned gift will help sustain NET for future generations.” Ann said she got started in 1978 as NET’s auction co-chair for Cuming County and would travel down to help with the auction every year. One thing led to another and she soon began serving on NET’s Foundation board, including a term as president. Her husband, George, later served on the NET Foundation board, too – NET had become a family affair. “Both of our boys grew up on NET. We had high expectations for them and wouldn’t let them watch much television. However, we liked Sesame Street and NET’s other educational programs,” Ann said. The boys, now grown, have interesting careers. Elliott is a neuroscientist researching brain functions in London and Andrew is an aerospace engineer in Los Angeles. “George and I have stayed connected to NET. We like the news, travel shows as well as Antiques Roadshow, NOVA, Great Performances and Masterpiece. We’re fans of both NET radio and television and love it,” she added.